Where did the idea for Crooked House come from? We’ve been playing with a number of well-known fairy tales, trying to see which is most appropriate for the platform. Currently, the team has a demo of Red Riding Hood and ideas for Jack in the Beanstalk — among other things. 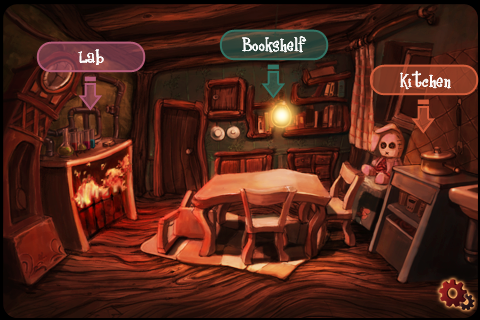 The story and setting of the “Crooked House” rhyme seemed to lend itself neatly to a tilt-based puzzle game. So far the positive reviews and sales data seem to support that idea. As mentioned in the interview the Spicy Pony team is working on an iPad version of DexIQ (see image above), which will feature 2 player head-to-head action on one screen. There’s an iPad version of Crooked House in the works as well – with high-res graphics and a bunch of cool new features. I’ll keep you posted on release timing. Check out Crooked House on the App Store HERE. 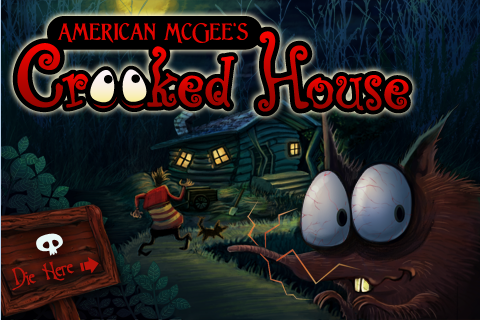 In the game, the mouseâ€™s plan is simple: Escape the crooked house. But as you might expect, this is easier said than done. Standing between the mouse and his freedom are an increasingly mischievous series of crooked puzzles. Puzzling involves sliding blocks in order to make a path for your mouse to the exit of each level. 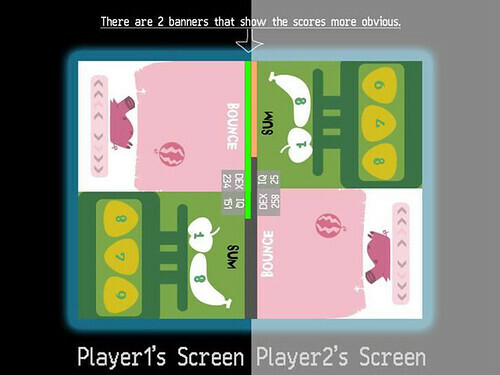 This is accomplished using either tilt or swipe controls. All blocks move in the same direction, and so the difficulty comes in manipulating the blocks in such a way that they all fall into proper place. Environmental obstacles both help and hinder your progress. Throwing blocks into grinders destroys them, and striking your mouse with a block ends him in bloodiness. Each stage also has a time limit for completion; if not met, your mouse will be eviscerated by the houseâ€™s crooked cat. 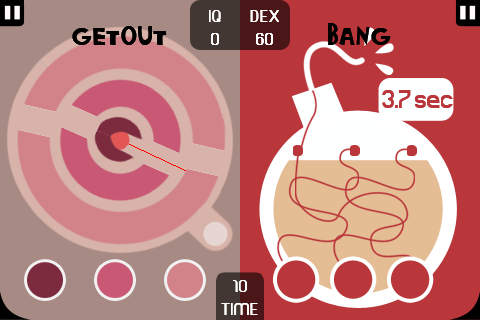 This being the iPhone app after DexIQ we decided to try a couple of “new” things – like presenting the game in an art style more closely associated with my previous projects, injecting a bit more gore, and adding my “brand name” to the title. This last idea was difficult for me to approach – I’ve always felt conflicted about use of my name in association with projects that are built by multi-person teams. “Crooked” is no different – a team of 5 people devoted creative energy and smart thinking to its development. So why brand it? The primary reason for using the “brand” was to determine if it would help the app rise above the noise. 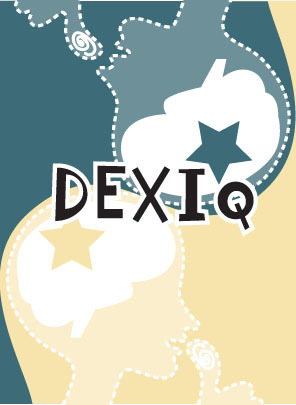 DexIQ, though it’s a solid game and has been well reviewed, has yet to gain real traction. So has the branding helped “Crooked House“? Looks that way – though the reviews have been positive, there have been fewer of them, and less “noise” in general – but the app has quickly made its way to the Top #100 on the App Store. How much of this can be attributed to the branding – hard to say. 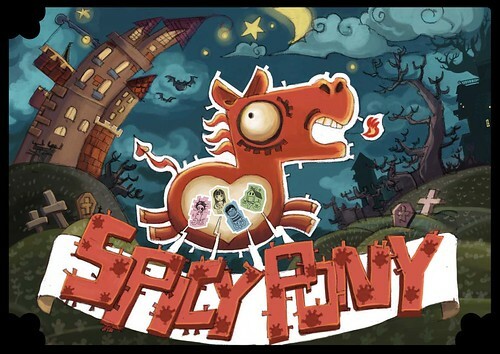 But it’s good to see the efforts of the Spicy Pony team being rewarded with strong sales. If you like what you see, have thoughts on the branding, or suggestions for improvements – please leave comments on the App Store. If you help him in his plan. Help the Crooked Mouse escape the Crooked House! A dizzying array of macabre objects fill the crooked house. Arrange the objects by to create a safe route for the mouse. Fail and the mouse dies a gruesome death. Eek! Also, be sure to check out the new iPad version!